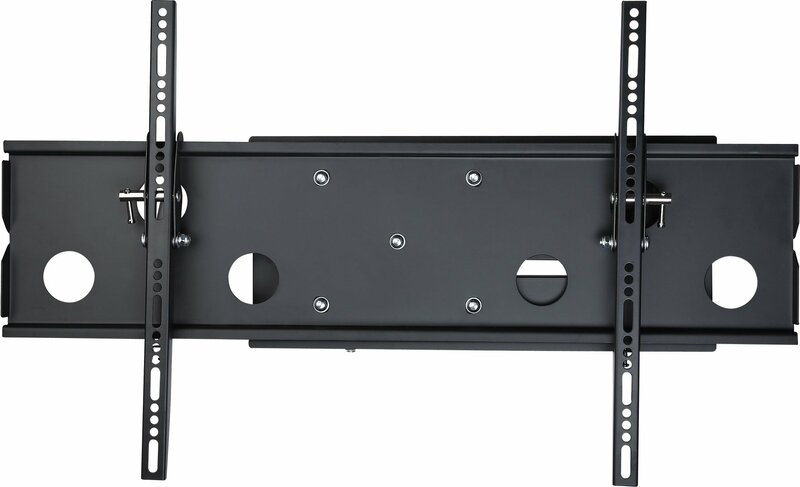 TV Size 42" to 80"
I have a Samsung 49 inch curved TV and was wondering if this wall mount would allow me to move the TV 90 degrees? 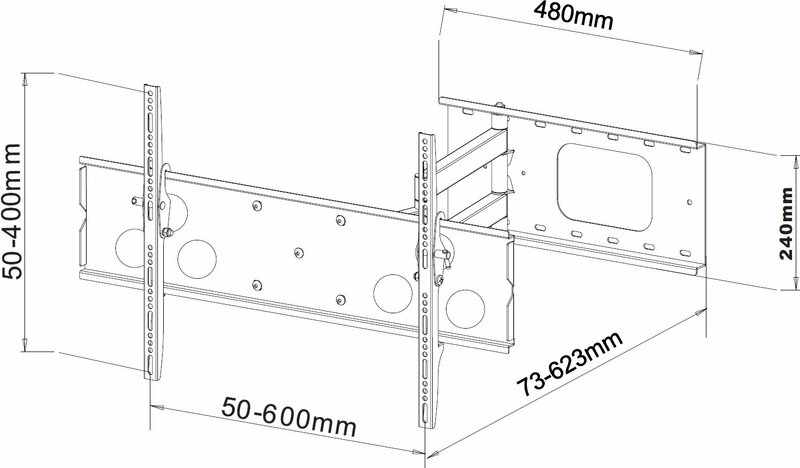 I want to fit my tv in an alcove that’s probably only 100mm wider than the telly. Is there any lateral movement when pulling it in and out of position? 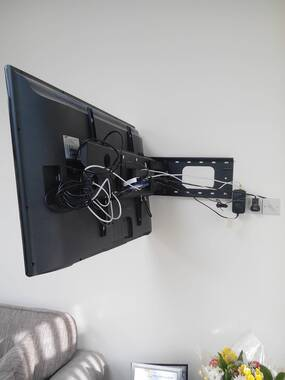 Would I be able to fit this mount to the side of a wardrobe with suitable bolts, then pull it out in front of the doors to watch the tv. The side of it . Sorry my TV is a Sony. Can't help. 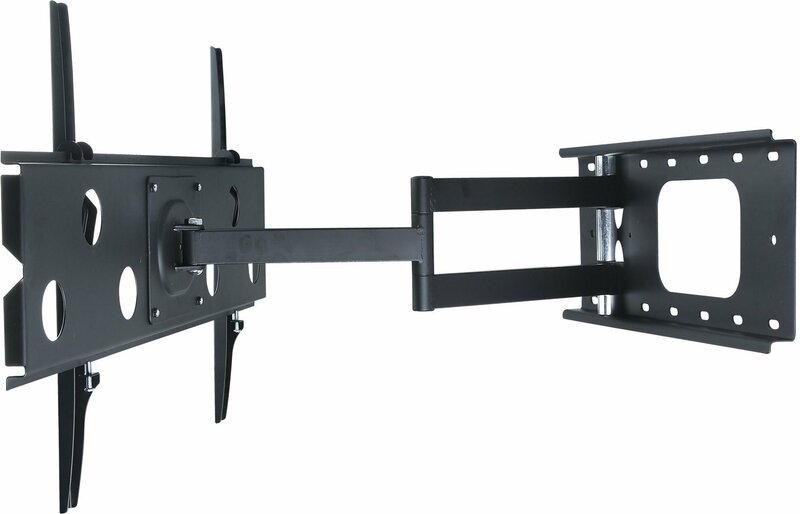 I have a samsung 58inch tv (58MU6120) will this mount allow me to pull my tv out 90 degrees as I need it mounted on the West facing wall but pointing out flat towards the south facing wall? The mount will allow you to have a 90 degrees angle, just move it into position slowly, make sure you use the right raw plugs to go into the wall, there is a built in spirit level on the mount, so it’s easy to get it level, we put in small pilot holes first, then used the bigger drill. We are very happy with the end result, it was an easy job and only took about ten minutes. 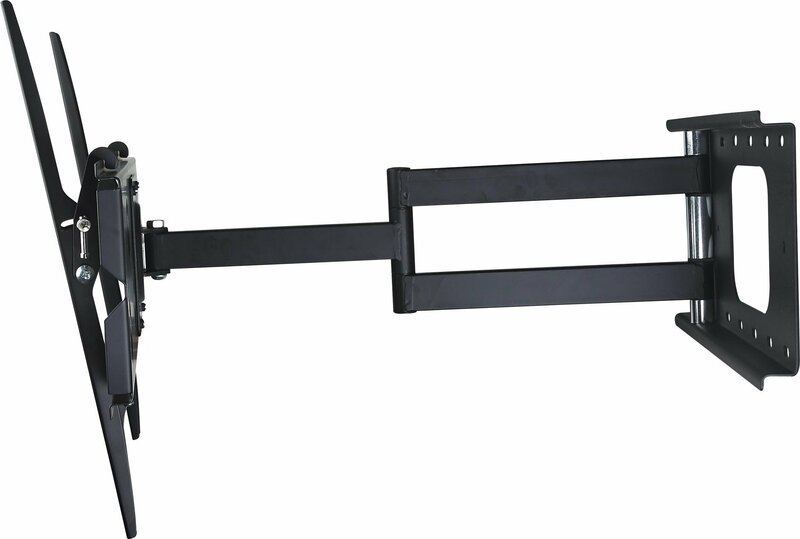 Hi I want to buy this mount. 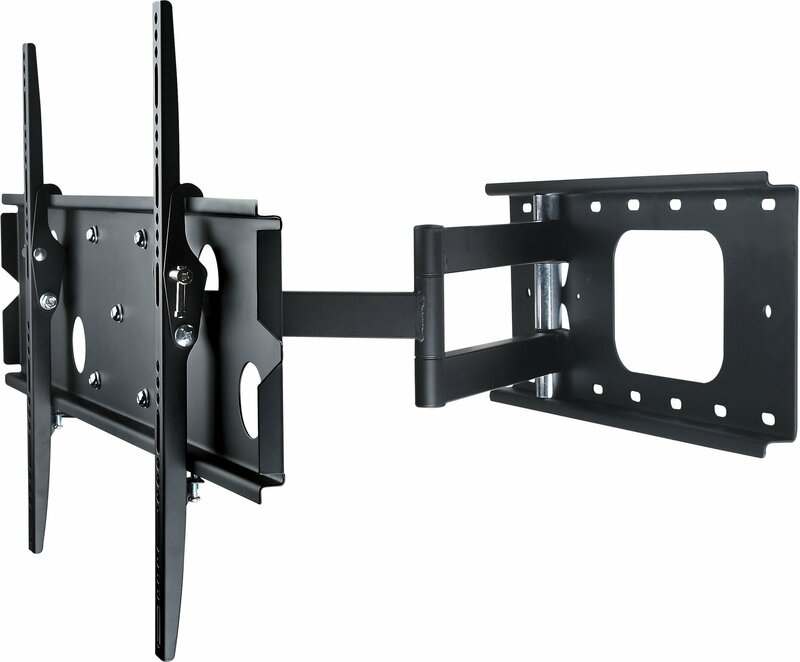 I am going to buy a 55" and 43" Samsung curved TVs will this to make the mount tilt or move? 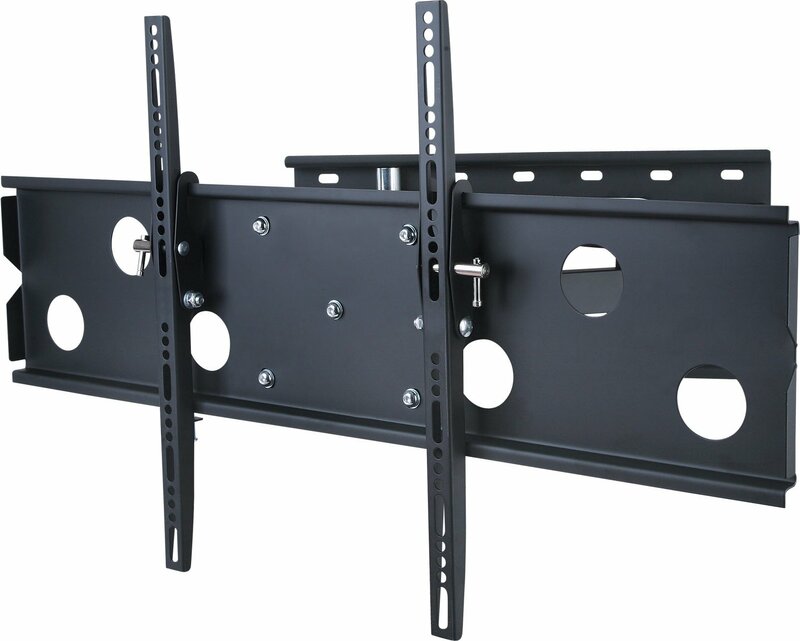 I have a 42inch plasma which is very heavy and have never had any problems with the mount moving if that is what you are asking. It does need to be secured to a solid wall though to cope with the weight when extended out. Hope this helps. I need to hang this on an internal plasterboard wall? Is this possible? Mine is also on an internal plasterboard wall, and has given me no problems, just make sure you use suitable wall fixings. I used metal ones that as you screw, the back pulls in and spreads behind the board. Can I fix a 48" tv length measures 42" and turn this at right angle to view. This would require a 21" turn clearance.? Yes it does is the short answer I will take some pics as my tv is the same size. Providing your cables are long enough, yes you can do it.